Homemade Chai Concentrate is quick and easy to make with just a handful of spices and no refined sugar. This little blog is four years old today! Can you believe it? In past years, I have marked this occasion with a giveaway or with cake. (See reference: Caramel Apple Cake.) But since this past year has brought a multitude of life changes (engagement, wedding, starting to buy a house), I thought the most appropriate way of celebrating having a preschool-aged blog would be to share a quick and easy recipe that I make almost every week – because time and energy are always of the essence around here lately. 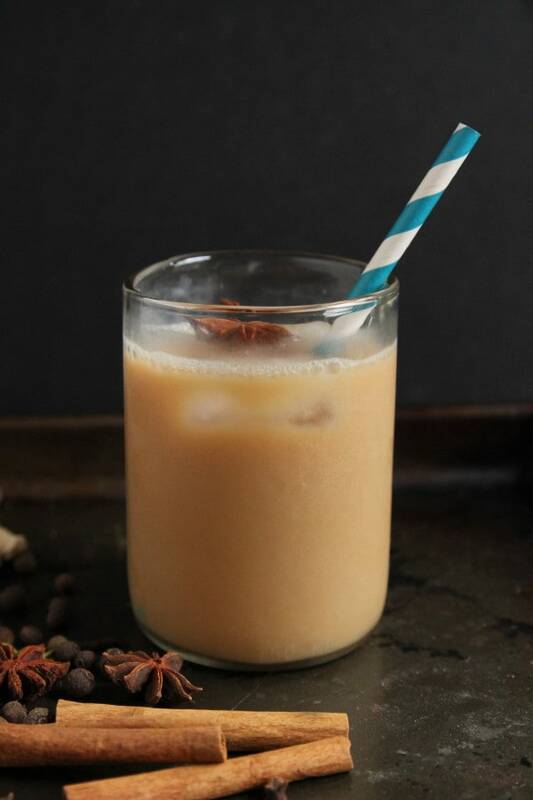 I love chai, but at some point I realized that stopping by the local coffee shop multiple times a week for my iced chai fix was putting a significant dent into my bank account. It was at that moment that I determined that I could make a homemade chai concentrate that was as good, if not better, than what I could get at the coffee shop or buy at the store. The added bonus would be knowing what was in it, particularly in terms of how much – and what kind – of sugar. So often the stuff you buy at the store is overly-sweet, to the point of masking some of the flavors of the spices. I knew I could do better. This Homemade Chai Concentrate recipe took some real fiddling, but I have managed to get it to fit exactly what I was looking for. It is refined sugar-free, using coconut sugar and honey, and has a nice balance of spices. I played around with several recipes before I found one on The Prairie Homestead that seemed to be closer to what I was looking for, and continued to tweak it until it was juuuuuust right. Whole spices are cheaper than you think. I buy mine at a Mediterranean market for next to nothing, and they last forever. Buying larger quantities at an ethnic market is definitely your best bet. When in doubt (or in a small town with fewer options), try the internet. I use whole dried ginger, found at my local market (see above). I find this easier to keep on hand for chai at a moment’s notice than fresh ginger, and think it’s easier to use in this recipe than ground ginger. 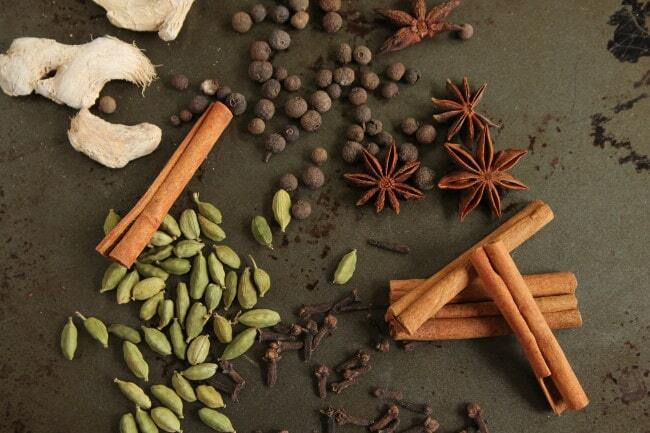 Almost all chai recipes will call for peppercorns. Mine does not. I tried it with them several times, and then without when I found I had run out. I didn’t really notice a difference without them, and have left them out since. If it makes you feel better, try adding up to a teaspoon to your whole spices. The vanilla is the real key to this recipe for me. I tried it several times without the vanilla, and every time it was a little bit “blah”. It was when I added the vanilla that all of the flavor notes really fell into place. I like using vanilla bean paste, but have also used a vanilla bean and vanilla extract. All will get you where you want to go. Try playing with different types of vanilla here – Madagascar for a traditional vanilla flavor, Mexican for a bit of spice, Tahitian for a touch of floral, fruity notes. Nielsen-Massey makes the best quality of all of the above. Most recipes – and even storebought concentrates – will suggest mixing 1 part concentrate with 1 part milk. I happen to love my chai, like all tea, pretty strong, so tend to lean towards a 2:1 ratio of concentrate to milk. Play with it and see what you like – because that is the beauty of making it at home! Now, go forth and chai! You’ll be delighted how easy it is to make at home. In a saucepan, bring the water, coconut sugar and honey to a boil. Add the whole spices and vanilla bean, if using. Simmer, uncovered, for 20 minutes. Remove from heat and add the tea bags. Steep for 5 minutes before removing tea bags. Strain out the spices and stir in the vanilla bean paste or extract, if using. Pour into an airtight container and allow to cool to room temperature before storing in the refrigerator for up to a week. To serve, mix anywhere from 1 to 2 parts concentrate with 1 part milk of your choice (whole, soy, almond, coconut, etc). Serve over ice or heat. I like to gently crack open or lightly crush my whole spices in a mortar and pestle before adding them to the boiling water; it seems to help release some of the flavor. This is totally optional, so go where your heart leads you. 4 years…phew! What a whirlwind! I guess that means we’ve known each other for just about 3 years now, yes? And we’re lifers! Happy blog bday, babes! This chai concentrate is the real deal and I want to guzzle down a gallon of it. Congrats on 4 years! We go through so much chai around here, especially in the colder months! Can’t wait to try your version! Congrats! These photos are stunning! Thank you so much, sweet Medha! Happy 4 years! Chai tea is the perfect way to celebrate. I love this homemade version, and those whole spices are just gorgeous. Thanks, Jennie! Would it be weird to just put out a bowl of whole spices to pretty up my house and make it smell nice? Because I’m thisclose to doing it. Yummy!! 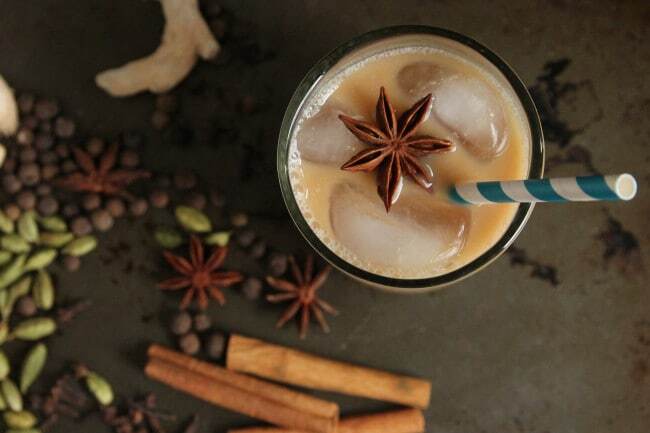 Homemade chai is SO great for the chilly days of fall. Also happy belated blog-iversary! Thank you so much, Phoebe! 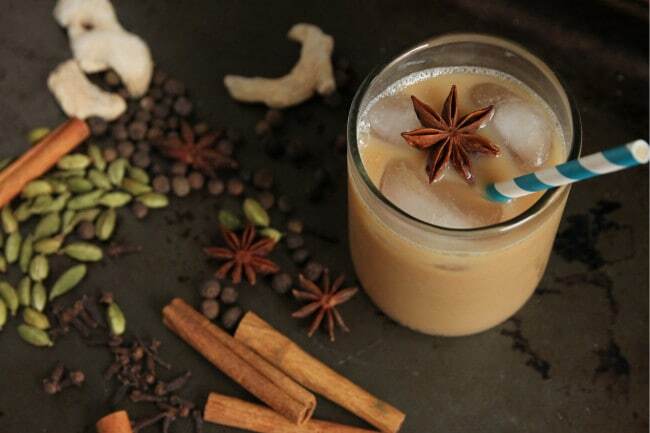 I think we should make chai EVERYTHING this fall. Let’s do it! So happy to have a chai tea recipe at last! I drink tons of it, especially in the winter, and it is so expensive to buy!! Thank you so much—can’t wait to try it, but I’ll have to search out the spices first. This is THE BEST chai concentrate. I have been looking forever for the perfect one and you nailed it. Thank you so much!!! I am SO glad you love it!